Despite protests from area environmental groups, a new natural gas pipeline that will traverse nearby roadless areas will go ahead, following a decision from the Bureau of Land Management (BLM) and the U.S. Forest Service. In response, local environmental group High Country Citizens’ Alliance (HCCA) says it will file a lawsuit in federal court, protesting the decision. The BLM and Forest Service released the formal decision on Tuesday, January 8, marking one of the final hurdles for the pipeline’s proponent, Houston-based SG Interests Ltd.
As proposed, the Bull Mountain pipeline is a 25.5-mile-long underground steel pipeline that will transport natural gas from wells in the northwestern corner of Gunnison County into a national pipeline system. Approximately eight miles of the pipeline will run through Gunnison County. Gunnison Energy Corporation also owns natural gas wells in the area and would be served by the Bull Mountain pipeline. The pipeline would traverse two national forests through five Colorado counties—Gunnison, Delta, Mesa, Garfield and Pitkin—and would bisect the 120,000-acre Clear Fork Divide designated roadless area that connects the Grand and Battlement Mesas to the West Elk Mountains. Approximately eight miles of the pipeline will go through roadless areas, with a portion falling within an existing pipeline corridor. According to a consortium of preservation advocates—including HCCA, Western Colorado Congress, Wilderness Workshop and Western Slope Environmental Resource Council, all Colorado-based environmental groups—the U.S. Forest Service has chosen the worst possible alternative for the pipeline route. 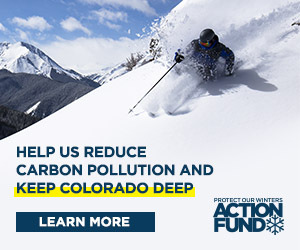 Western Colorado Congress public lands director Mark Schofield agrees that his group anticipated the decision, noting that it mirrors the findings of the final Environmental Impact Statement released in November 2007. “It’s a disappointing but not surprising decision,” Schofield says. In addition, the BLM and Forest Service note that the decisions require the developers to re-vegetate the pipeline corridor. However, environmental groups say it’s unacceptable to have the pipeline, and its accompanying access-way, in inventoried roadless lands. Morse contends that the access-way constitutes a roadway and is therefore illegal under the 2001 Roadless Area Conservation Rule, enacted under the Clinton Administration. The U.S. Forest Service enacted the Roadless Rule in 2001 to protect the country’s roadless areas and create more uniform protective measures for the nation’s forests. Prior to the Roadless Rule, individual forest plans governed the use of roadless areas. The rule, which was suspended under the Bush Administration, prohibits road building and timber harvesting on inventoried roadless areas of the nation’s national forests. The U.S. District Court in California essentially reenacted the Roadless Area Conservation Rule in September 2006. Morse says HCCA has decided it will file a lawsuit in federal court. “We’re inclined to think that the federal court would be a more effective avenue for us,” he says. Schofield says the Western Colorado Congress may join in the suit along with other environmental organizations. “We’re going to pursue all of the possible options,” he says. Guinn says he’s aware of a possible lawsuit but is going ahead with a separate permit application for Gunnison County, which is now under way. If those permits are approved, Guinn says he anticipates starting construction on the $27 million pipeline in May with operations beginning in December.